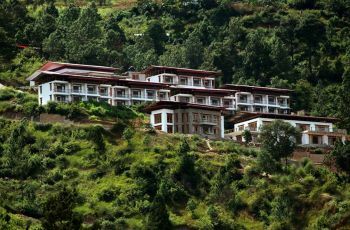 Hotel Vara is majestically nested in the valley of Lobesa overlooking the blossoming and verdant valley with panoramic elongate between Punakha and Wangdue. 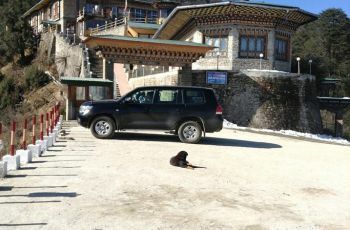 Our luxuty 19 rooms are located in tranquil scenery facing the momentous Temple of Phallus “Chhimi Lhakhang”. 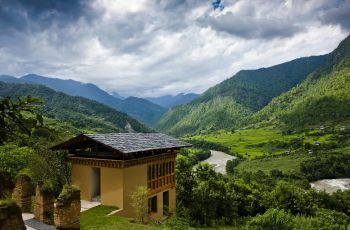 Vara caters high quality service for travelers exploring the wonders of Punakha and Wangdue surrounded by mountains and oasis of tranquility and peacefulness. 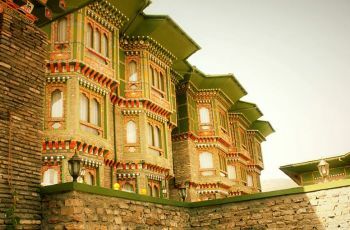 Hotel Vara was crafted with originality of traditional Bhutanese architect befitted with morden technology for comfort and conveniences. The hotel has an elegant dining room, a lounge and a saperate bar connected with Wi-Fi. The guest can relish delicious multi-cuisine at charismatic Garden Restaurant taking pleasure of fresh evening breeze and smell of earthly surronginds. Our quest can enjoy the service of authentic traditional Bhutanese wine “Ara” at our Ara hut with international standard bar service and multi-branded alcohol and wines from around the globe. Do you own/manage Hotel Vara?